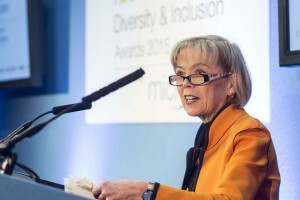 The Civil Service Diversity & Inclusion Awards began in 2007! They were established to celebrate and showcase the commitment and exceptional achievements of individual civil servants and teams across the country, who have demonstrated innovation and leadership, building an inclusive and modern Civil Service reflective of the society we serve. I was then exceptionally proud to be asked to co-present this year’s ceremony with Sophia Cannon, a barrister and respected social justice commentator, at HMRC in Whitehall on Tuesday 13 October. This year’s awards attracted a record number of nominations - 187 - a huge 22% increase on 2014. We were blown away by the high quality of entries which made choosing a shortlist of 5 nominations for each category a tough call. Everybody nominated should be proud of their achievement and the 35 teams and individuals who made the final shortlist fully deserved their day in Whitehall. Almost 180 people celebrated the announcement of our winners in the seven categories and left visibly inspired by their achievements. A broad spectrum of civil servants attended including the shortlisted nominees, diversity champions, senior leaders, HR and diversity specialists, leaders of our employee networks, trade union colleagues and representatives from our external partners and specialist organisations. 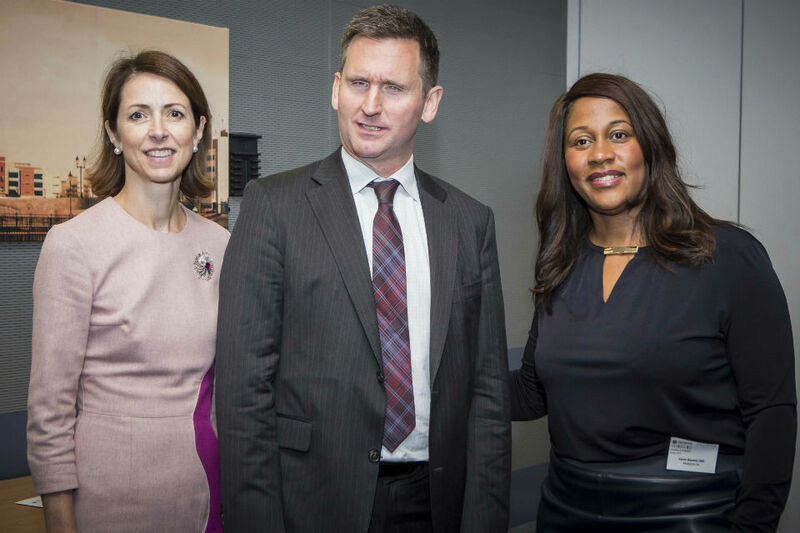 We also welcomed three of our newly appointed Diversity Advisers Karen Blackett, Lord Holmes and Helena Morrissey. Our special advisors (left to right) Helena Morrissey, Lord Chris Holmes and Karen Blackett at the Awards. We heard some inspiring stories from Civil Servants supporting 'cared for' young adults to become more employable; providing better services to vulnerable customers in hospices; improving the support offered to transgender and Muslim women prisoners; and providing work experience opportunities for injured and wounded service personnel. These examples of how innovation makes a huge difference to our customers, who are often among the most vulnerable in society. There were excellent examples of colleagues building networks to improve levels of promotion and progression among BAME civil servants, challenging perceptions on gender and tackling issues affecting LGB&T civil servants. All 35 shortlisted nominations are here and can help us all continue to improve. The 2015 Diversity & Inclusion Awards winners with sponsor Dr Nasser Siabi (far left), Diversity Champion Sue Owen (3rd from left) and Sir Jeremy Heywood (centre left). Next up for the winners is to attend the Civil Service Awards at Buckingham Palace on 12 November, where our 'magnificent seven' will form the shortlist for the Diversity and Inclusion Award. I wish all seven the best of luck. This is a great celebration of the progress we have made on diversity and inclusion over the past year. We still have a long way to go but, for as long as I am Head of the Civil Service, this will remain one of my top priorities. The individuals and teams nominated have done a fantastic job in pushing this agenda and are an inspiration to us all. The atmosphere was energetic, celebratory and palpable. 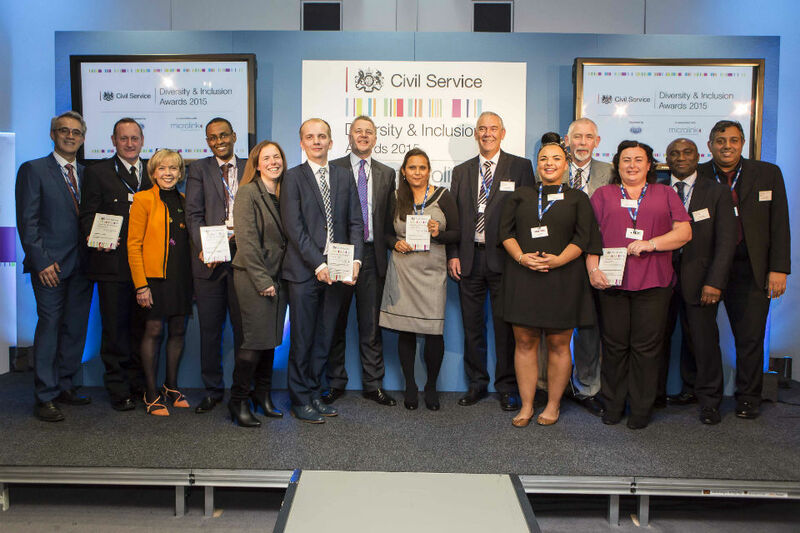 Extremely encouraging was the breadth of different teams and departments of varying size that are genuinely putting diversity and inclusion at the heart of the Civil Service. Each have pioneered and developed a range of initiatives that can be shared and reapplied throughout the Civil Service. I am looking forward to working with you. Well done to everybody involved - including Dods, the Civil Service D&I Team, Microlink and Lin Homer and her team. All in all, we can be fantastically proud of the progress the Civil Service has made. Our challenge (and opportunity!) is to ensure that we build on this momentum over the coming year and do even better in 2016. There is still much more to do and we need to maintain the pace and momentum as we implement the Talent Action Plan Removing Barriers programme and achieve our aim of building an inclusive Civil Service that is truly reflective of modern Britain. I think events like these are wonderful but (and unfortunately there is a but) they rather ignore some of serious diversity concerns arising from the policies that the organisations represented here apply as a matter of course. For example most, if not all of people from the departments represented at these awards will be going back to organisations that run performance management systems where white staff are most likely to be the staff in receipt of bonuses and BAME staff are the staff most lilely to be identified as weaker perfromers. At the same time, if the Home Office performance management system is any indication, there is absolutely no objective evidence that any of these systems have any positive effect on performance - I should know, I've asked. So why do departments continue to be so enthusiastic about them? I would like to see department's having the courage to stop using such worrying practices (a John Lewis style bonus system anyone?) until the concerns about poor diversity outcomes have been tackled. We might, one day in the dim and distant future, get HR to address why men are almost twice as likely to be given a 'must improve' than women. Needless to say, this is currently ignored, swept under tjhe carpet, confined to the memory hole whenever it is mentioned. Despite the fact that it is a highly reliable figure (gender is recorded on the HR system for everyone). Our dear leaders and the diversity industry that has grown up around them, would rather pretend that this doesn't happen. They also know that any answer they give will be used against them the next time they try to push programmes related to the under-representation of women in senior roles. It would be nice to not have these kinds of fanfare events and for diversity to be the norm, but the cynic in me thinks it's to gloss over the fact that we lack such diversity when it comes to grades and geographical placement. The staff in London are much more likely to get the top 2 box marking and bonus, as are the higher grades, regardless of the fact that staff elsewhere in the UK are working just as hard. If we are to continue split site departments then we need to encourage diversity in the way we treat people and that just isn't happening. I'd also like for the PMF system to be completely overhauled to discourage this blame culture we live in. But for now, well done - we're great at 'supporting 'cared for' young adults to become more employable; providing better services to vulnerable customers in hospices; improving the support offered to transgender and Muslim women prisoners; and providing work experience opportunities for injured and wounded service personnel. These examples of how innovation makes a huge difference to our customers, who are often among the most vulnerable in society' and thats fantastic in itself. Just lets try and throw the net a tad wider please.